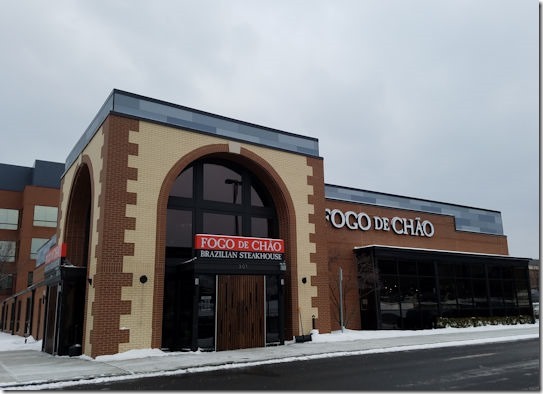 I recently had the opportunity to check out one of the newest restaurants here in Troy, Michigan. Fogo De Chão. An absolutely amazing Brazilian steakhouse. 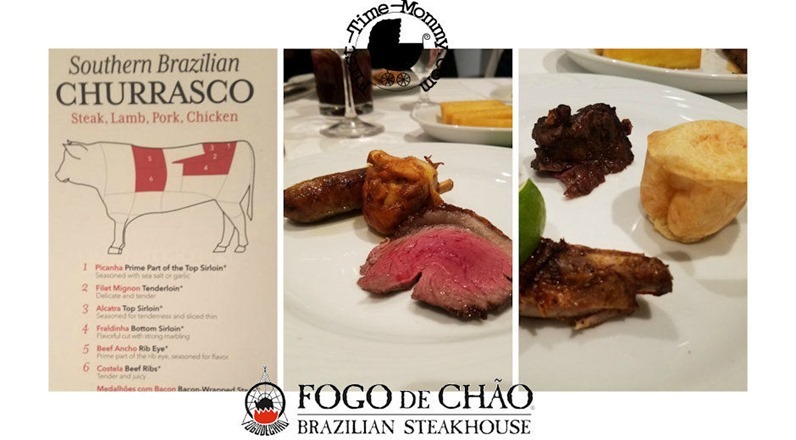 Fortunately, you can find a Fogo De Chão in several major cities like Chicago, Boston, Miami, New Orleans, Los Angeles, and other places. They’re also expanding so there may be one near you soon. If you happen to be in the Detroit area you can hop off I-75 at Big Beaver in Troy and be there within a matter of minutes. 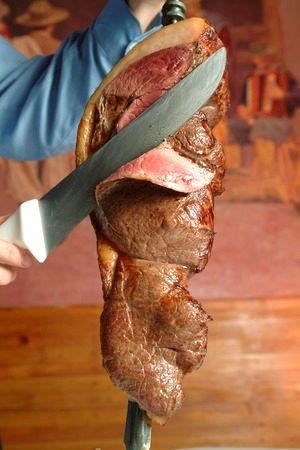 If you’ve never been to a Brazilian steakhouse, I find it’s something that everyone should experience at least once! Now while the atmosphere is a bit upscale it’s also relaxed. It’s a great place to take a date, eat alone, or for families. You don’t have to dress up in your finest garb unless you want to. 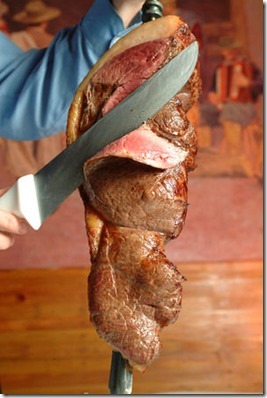 While we were there we went for the Full Churrasco Experience, which runs $48.95 per person for dinner. For weekday lunch $34.95 & weekend lunch it’s $36.95. My best advice is to go for dinner & plan to stay for at least a couple of hours. It is, after all, an experience. If you’re looking for something lighter on the stomach & the pocketbook those options are available on the menu as well. And it’s worth mentioning that if you want to go as a family. Children under 6 get the Full Churrasco for free. Children 7-12 are half price. The way they do things at Fogo De Chão is a little different than your typical restaurant. 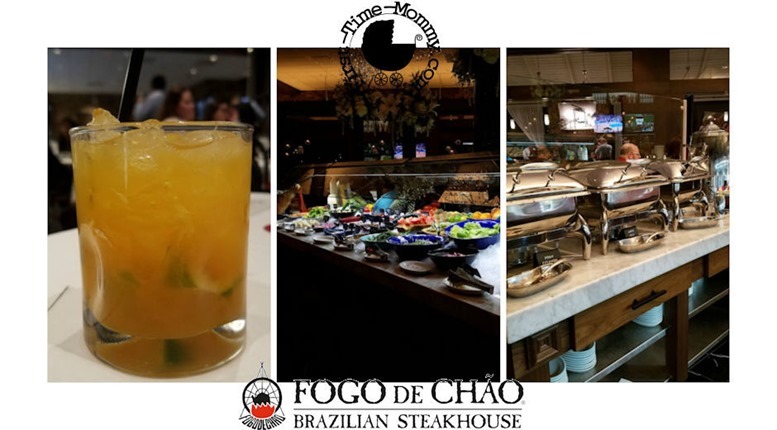 If you’ve opted for the Full Churrasco then after you are seated and have ordered your drinks (The Passionate Caipirinha with passion juice is terrific) you’ll be ready to head up to the Market Table, which consists mostly of cold foods, all inspired by the markets of Brazil. Fresh, colorful selections from South America like roasted zucchini, roasted garlic, marinated mushrooms, roasted bell peppers, and my favorite sweetie drop peppers amongst other things as well as a good variety of antipasti, fruits & vegetables like asparagus, tomatoes, green beans, pineapple, berries, melon. On one end of the market table, you will find fresh leafy greens & salads with traditional dressings as well as ones you may not have tried before, like basil. (Seriously try the Basil dressing!). On the other end of the Market Table, you will find a charcuterie – cured meats such as prosciutto, salami, chorizo, Italian prosciutto de Parma and cheeses such as Brie, Manchego, and many others as well as accompaniments like fig jam, capers, and cornichons. Directly opposite the Market Table, you will notice warmers, filled with Feijoada – a traditional bean stew with sausage served over white rice, along with various toppings for your feijoada. Amongst these things you will find the holy grail, what Fogo de Chao says is their most popular area; The Bacon Bar. It’s basically a big bowl of black pepper bacon candied with brown sugar. Pretty much the most amazing bacon you will ever taste. But be careful, although it’s tempting to fill up on such delights you’re going to want to save room for the main course. Along with the main course, your meal also comes with Brazilian style rolls and various side dishes like mashed potatoes & fried polenta as well as fried bananas (to cleanse your palette between meats). Once again you’ll want to go easy on the sides because you’re going the amount of meat that comes around is going to leave you stuffed for hours after you get home. Did you ever play Red Light, Green Light as a kid? Good. Then you’ll figure this out really quickly. Basically, you’re given two coasters. One is green & that one means “Bring me all the meats! The other is red & that one means “No thank you, stop serving me meats.” When you put your green coaster down on the table you will almost immediately start being served small portions of meat. Your servers will come to your table & bring meats on a skewer or long sword. You will find a pair of tongs near you & when the server slices the meat you will grab the meat off the skewer with your tongs & place it on to your plate. The servers will always announce what types of meat they are serving. You’ll also be given a handy menu that describes each type of meat. The meats mostly consist of cuts of beef, but also chicken, lamb, pork, and sausage. Someone will also come around & ask if you’d like shrimp but that will cost you extra and plus, who has room for shrimp when you’re trying a dozen different meats! Fogo has a nice selection of desserts like cheesecake, crème brulee & papaya cream but guess what? I didn’t get to try any because there simply wasn’t enough room in my belly! Overall my experience at Fogo was really fantastic. I got to eat dinner with a lovely group of ladies in my own city, and just enjoy the night out with fellow bloggers and moms, sans the kids. It was a relaxing and fun experience. The service was impeccable. We sat right next to the area where they cook the meats so we were able to look in & actually watch them preparing it. One thing I loved as well is that the management was right out there on the floor helping their staff. Yes, the prices are a little up there but you most definitely get your monies worth. Like I said, plan to stay a couple hours at least! All of the meats we tried were amazing. Some I liked more than others. My personal favorite was the top sirloin. I swore it would be the filet but the sirloin was incredibly flavorful and tender. And that bacon at the bacon bar! I’d go back for that alone! 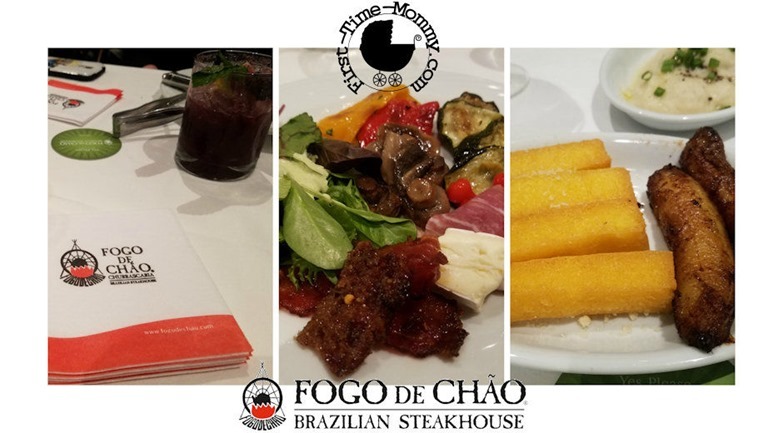 You definitely need to check out Fogo De Chão.